The CTO of CoreOS joins us to go into detail about how CoreOS deploys applications in Docker Containers, allows for automatic server updates, and might just finally fix security on the web. Guest: Brandon Philips is CTO at CoreOS. CTO @ CoreOS. Worked on Luvit and Cloud Monitoring at Rackspace and was a Linux Kernel Guy at SUSE. Worked at SUSE: June 2007 – June 2011 (4 years 1 month). CoreOS integrates easily with Google load balancers and replica pools to easily scale your applications across regions and zones. Using replica groups with CoreOS is easy; configure the project-level metadata to include a discovery URL and add as many machines as you need. CoreOS will automatically cluster new machines and fleet will begin utilizing them. If a single machine requires more specific configuration, additional cloud-config parameters can be specified during boot. Q: I would really like to hear about the motivation behind that project (maybe a little story how and why it was started). Q: I’ve read “based on ChromeOS” quite a bit. We assume that means its a fork, could you give us the details? 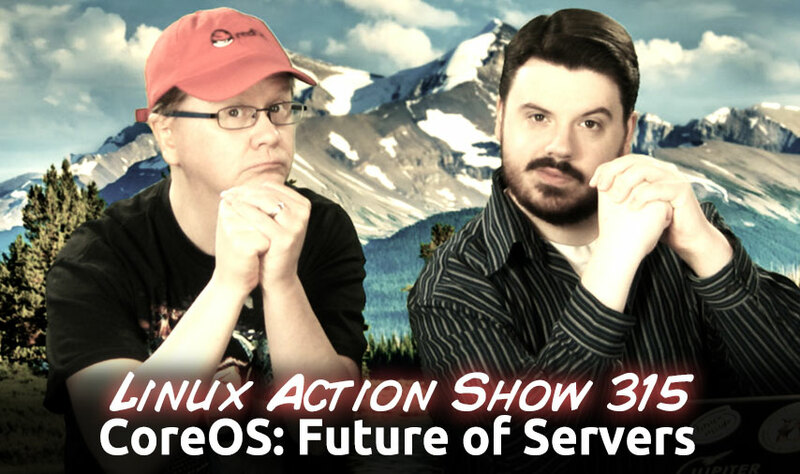 Q: How Does CoreOS differ from a traditional “Linux distro”? Q: systemd in CoreOS? How critical is it, and can you give us some examples? Example: Fleet presents the cluster as a distributed init system by aggregating systemd running on each machine. Q: Can you go into more detail about how applications are deployed in Docker? Ex: I want to install nginx, would that process be similar to installing a package via apt, but the software is deployed inside a Docker Container? Q: Can you talk about etcd is used for distributed config managment? Q: If a node fails, how does another node pick up the work if the data is stored in a container? Is central shared storage an important component to a full CoreOS deployment? Q: It seems likely that the web would be a lot safer if we all used CoreOS. Do you personally believe that’s true? And why? Q: You recently wrote about btrfs features that could benefit servers, and specifically Docker containers. Could you talk a bit about that? Q: MANY More! Catch this week’s episode for answers and more questions! First CoreOS meetup in San Francisco on Tuesday, June 3, 2014 6:30 PM to 8:30 PM. RSVP! 32GB SSD for internal storage. The robot is offered in two flavors of Linux- Ubuntu 14.04 LTS for developers who wish to take advantage of a full-featured desktop OS, or Yocto Project Poky distribution OpenEmbedded Linux which has a custom 21C Robots layer to allow for unified support across many different CPU configurations and hardware. The Gnome Encfs Manager (or short GEncfsM) is an easy to use manager and mounter for encfs stashes featuring per-stash configuration, Gnome Keyring support, a tray menu inspired by Cryptkeeper and lots of unique features. Whether you want to let it do things as simple as mounting a stash at startup, which is often used in conjunction with cloud-synced folders on services like Dropbox & Co., or whether you want to let it automatically mount and unmount your stashes on removeable drives such as USB-disks, SD-cards or even network-resources, GEncfsM is designed to do all the work for you. Linux Mint 15 Review: Arch’s Nemesis? This is not a fork (yet), we just coordinate, a fork will probably have a new name. Combining efforts is most important for now. First priority: Making the product available again. Second priority: finding interested and capable persons volunteering to help. Identify and solve legal issues. Identify Security Threats. Third priority: Fork the project and solve security threats. Found a support association for continued development. 4000+ Downloads in the first 24 hours: There is still demand for a product like TrueCrypt! The TrueCrypt project has shut down, and we\’ll run down what we think is the most likely answer to this sudden mystery is. A new \”type\” column was added to differentiate between traditional updates, security updates, backports and romeo updates. Taking a page from Jimmy Kimmel\’s Mean Tweets series, The Linux Foundation asked Linux creator Linus Torvalds to read some of the community\’s more colorful tweets. Of course, Linus adds his very own commentary. The company today announced that its engine tools have launched on the Ubuntu Software Center — and Leadwerks now plans to focus on Ubunty as its primary supported platform, even over its Windows engine. Tech Talk Today launches Monday!